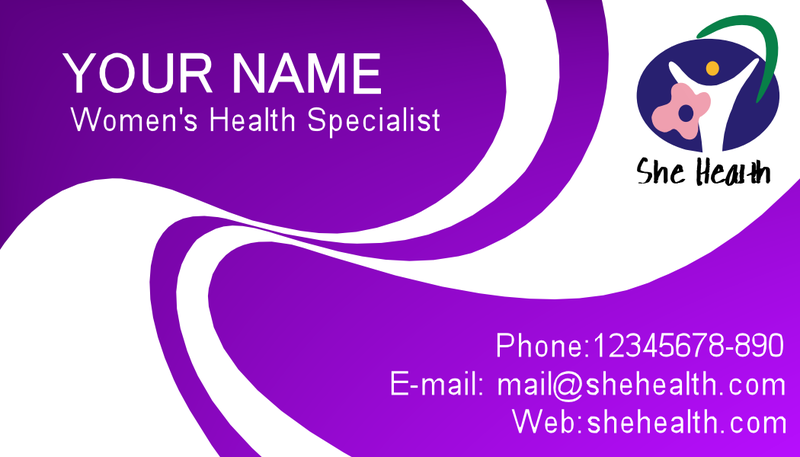 Colourful and professional business card for women’s medical health, type business. Swirling vectors on an intense purple gradient make this design stand out and while being feminine oriented. Front and back on standard landscape 3.5″ (W) x 2″ (H) layout. Zip download includes: PNG, PDF and detailed specifications sheet with colour pallet. We can customise the text to suit your business for a small fee, or you can do it yourself if you have the right software.